How Much Does a Radiation Therapist Make per Year? The radiation therapist salary is the highest in the US with professionals working here taking home about $84,980 per year. The US is followed at a distance by New Zealand with NZ$83,000 (US$57,342), Canada with C$71,000 (US$52,114), Australia with AU$65,000 (US$48,373), and the UK with £30,000 (US$38,748). The lowest salaries for radiation therapists of all English-speaking countries are registered in South Africa where a radiation therapist earns ZAR294,000 (US$22,368) and India with Rs442,000 (US$6,902). Generally, those benefiting from the radiation therapist salary and job description have to provide radiation therapy to patients in concordance with a series of standards and practices. From reviewing diagnoses and prescriptions to preparing the necessary surgical equipment, keeping records, and assisting with the localization of tumors, radiation therapists are well worth their salaries. Of course, with such a complicated background and so many specialties and responsibilities, most people with the radiation therapist average salary have plenty of factors that influence their pay. The three main ones are the geographic area, the level of experience, and the industry of each workplace and employer. Below, you will be able to see just how much the three factors influence the radiation therapist salary, as well as which states, metropolitan areas, and industries offer the highest salaries and levels of employment. You will also find out how much the experience influences the salary throughout one’s professional career. The geographic location of the place employment is perhaps the biggest influential factor when it comes to the salary of a radiation therapist. According to the Bureau of Labor and Statistics, the average salary for a radiation therapist in the US is $84,980 – the highest among all English-speaking countries. The starting salary for a radiation therapist is around $45,050 per year, but beginners can start with as much as a $20,000 difference in yearly pay depending on the state they work in. With time, a professional working as a radiation therapist can earn as much as $93,026. Bonuses can account for almost $4,000 of that amount. The radiation therapist salary by state and metropolitan area can be found below. The average salary for a radiation therapist working in Canada is C$76,630 (US$56,211). The starting salary for a radiation therapist is around C$40,664 (US$29,814). In time, a professional working in this field can take home up to C$94,272, or US$69,195 per year. All of the radiation therapists working in Canada have medical benefits with their job, and about half of them also have dental insurance. Although no info is available on the radiation therapist salary for UK-based professionals, we will take the diagnostic radiographer and the therapeutic radiographer salaries as reference. A diagnostic or therapeutic radiographer in the UK starts off at about £21,909 (US$28,284) in the first years. Once professionals reach band 6, they will earn up to £35,225 (US$45,475) per year. An experienced professional working in the United Kingdom as a diagnostic radiographer can earn up to £68,484 (US$88,419) once they reach band 8c. Payscale reports the salary of a radiation therapist working in Australia around AU$65,000 (US$48,373). A beginner working in this field will take home about AU$39,305 (US$29,205) in their first years. Those working in the field for over 10-15 years can expect a yearly wage of up to AU$91,215 (US$67,793). Most professionals working in this field at the moment (64%) have less than 5 years of experience. The salary of a radiation therapist working in New Zealand averages at NZ$83,000 (US$57,342) per year. A beginner in this field takes home about NZ$51,000 (US35,187), while an experienced professional earns about NZ$80,000 (US$55,196) per year. Nevertheless, radiation therapists with extra responsibilities earn between NZ$83,000 (US$57,261) and NZ$107,000 (US$73,832). The average salary for a radiation therapist working in India is Rs442,093 (US$6,903) per year. Bonuses can add about Rs7,471 (US$116) to this amount. When talking about experience, a beginner in this field starts off with about Rs347,540 (US$5,419); nevertheless, after more than 10 years in this field and with extra responsibilities, a radiation therapist will earn about Rs536,153 (US$8,371) per year. According to SalaryExplorer.com, a radiation therapist working in South Africa earns about ZAR294,000 (US$22,368) per year on average. Nevertheless, a beginner in this field takes home about ZAR224,437 (US$17,075) in the first few years. Only after 10 years in this field or more can one expect a yearly salary of ZAR495,799 (US$37,768). As it so often happens with most jobs in healthcare, the level of experience of each employee greatly dictates their level of pay. Of course, the more time one spends becoming and expert at their job, the better they will be financially rewarded. For example, a chief radiation therapist salary will always be higher than that of somebody just starting their professional career. Of course, the industry of each radiation therapist position is highly determinant of the aspiring radiation therapist’s salary. In fact, the regular radiation therapist salary can vary by as much as $15,000 depending on the industry of the position. Of course, the jobs offering the highest pay for the profession aren’t the ones that are also hiring. For example, a chief of oncology radiation therapist will make less than someone working in an outpatient care center. 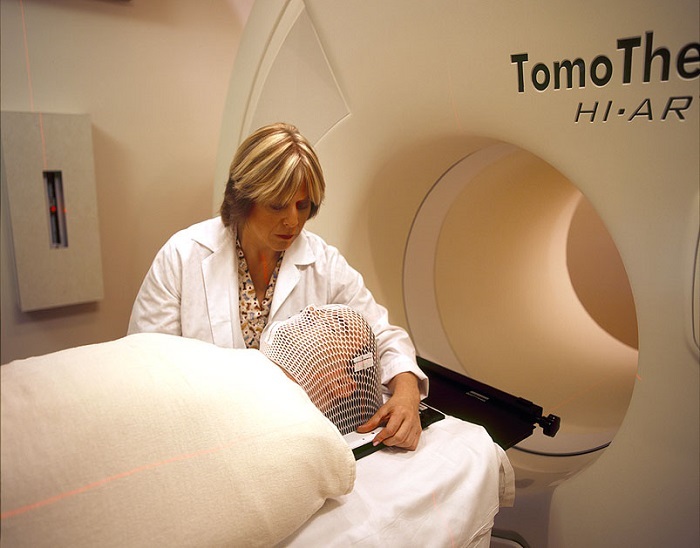 Interestingly, radiation therapists have some of the shortest work weeks in healthcare. With 8-hour shifts every day, and with the occasional worked weekend, the average radiation therapist work week is somewhere around 40 to 50 hours long. Night shifts are rarely present in hospital work places, although they do depend on each employer. Working holidays is just as mandatory as working nights, although it usually happens just as rarely. Overtimes are generally not an option, although they do happen on occasion. Being on call is often a big responsibility for anyone in the profession. Sadly, bonuses are rarely a thing for those with the radiation therapist salary. Since the average salary is high, bonuses are not a thing most of the times. But of course, this varies depending on the place of employment. Unlike most hospitals and medical centers, other employers could very well offer their employees bonuses. As for the benefits packages, they are also different from employer to employer. Generally, these include life, medical, vision, and dental insurance, as well as a number of paid leave and sick days. Retirement plans, including a 401(K) plan are also often part of the contract. Some places of employment also offer a tuition reimbursement for continuing education. According to the Bureau of Labor Statistics, the employment rate of radiation therapists, regardless of which radiation therapist schools they went to, is estimated to grow 14% by 2024, much faster than the average for all occupations. The main cause for this is the development of cancer therapies and the constant increase of cancer levels in our country. This often drives many to start asking around about how to become a radiation therapist. Having one of the most highly regarded jobs in healthcare, radiation therapists have to face multiple challenges every day, all under constant stress. The radiation therapist salary and job description go hand in hand, since the many responsibilities and daily stress account for the high pay.